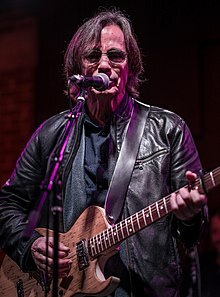 Clyde Jackson Browne (born October 9, 1948) is an American singer, songwriter, and musician who has sold over 18 million albums in the United States. Coming to prominence in the 1970s, Browne has written and recorded songs such as "These Days", "The Pretender", "Running on Empty", "Lawyers in Love", "Doctor My Eyes", "Take It Easy", "For a Rocker", and "Somebody's Baby". In 2004, he was inducted into the Rock and Roll Hall of Fame in Cleveland, Ohio, as well as bestowed an Honorary Doctorate of Music by Occidental College in Los Angeles, California. Browne was born in Heidelberg, Germany, where his father Clyde Jack Browne, an American serviceman, was stationed for his job assignment with the Stars and Stripes newspaper. Browne's mother, Beatrice Amanda (née Dahl), was a Minnesota native of Norwegian ancestry. Browne has three siblings. Roberta "Berbie" Browne was born in 1946 in Nuremberg, Germany; and Edward Severin Browne was born in 1949 in Frankfurt am Main, Germany. His younger sister, Gracie Browne, was born a number of years later. At the age of three Browne and his family moved to his grandfather's famous house, Abbey San Encino in the Highland Park district of Los Angeles. In his teens he began singing folk songs in local venues such as the Ash Grove and The Troubador Club. He attended Sunny Hills High School in Fullerton, California, graduating in 1966. 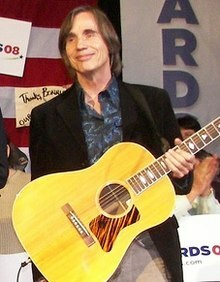 Browne's first songs, such as "Shadow Dream Song" and "These Days", were recorded by the Nitty Gritty Dirt Band, Tom Rush, Nico, Steve Noonan, Gregg Allman, Joan Baez, Eagles, Linda Ronstadt, the Byrds, and others. Browne did not release his own versions of these early songs until years later. Soon after this, Rolling Stone mentioned Browne as a "new face to look for" and praised his "mind-boggling melodies". Soon after the Three Mile Island nuclear accident, during March 1979, Browne joined with several musician friends to found the antinuclear organization Musicians United for Safe Energy. He was arrested protesting against the Diablo Canyon Power Plant near San Luis Obispo. His next album, Hold Out (1980), was commercially successful – his only number 1 record on the U.S. pop albums chart. The album generated "Boulevard". In 1982, he released the single "Somebody's Baby" from the Fast Times at Ridgemont High soundtrack, which became his biggest hit, peaking at number 7 on the Billboard Hot 100. The 1983 Lawyers in Love followed, signaling a discernible change from the personal to the political in his lyrics. In 1985, he sang a duet with Clarence Clemons in a song called "You're a Friend of Mine". Browne also performed alongside Roy Orbison in A Black and White Night in 1988 along with Bruce Springsteen, k.d. lang, and many others. Originally airing on Cinemax, a live album and video recordings were also released. On April 1, 2014, a twenty-three song, two-disc set titled Looking Into You: A Tribute to Jackson Browne was released. The album features covers of Browne's songs by such artists as Bruce Springsteen, Don Henley, Lyle Lovett and Bonnie Raitt. Browne was one of the leaders of the antinuclear movement and founded MUSE (Musicians United for Safe Energy) with Bonnie Raitt and John Hall in 1979. He was also an active member of the Abalone Alliance and the Alliance for Survival. According to environmental activist Ed Begley, Jr., "He's got this big wind turbine, and his ranch is completely off the grid", Begley said. "He's done all of it himself." Browne performed and sang the role of the Scarecrow in The Wizard of Oz in Concert: Dreams Come True, a 1995 musical performance for charity alongside Roger Daltrey, Natalie Cole, Tim Allen, and other stars. The celebrity cast performed a reader's theatre and songs styled performance of the MGM film The Wizard of Oz at the Lincoln Center as a benefit for the Children's Defense Fund. VHS and CD recordings were released of the concert in 1996 by Rhino Records. ^ Paris, Russ. Jackson Browne Discography Late for the Sky. ^ Taylor, Fred; Wiseman, Rich. "Jackson Browne's Late for the Sky: The Design of a Classic Album Cover.". Archived from the original on October 10, 2012. ^ Bego, Mark. “Jackson Browne: His Life and Music”. Citadel Press Inc. 2005. Page 88. <https://books.google.com/books?id=TSoOOD-MidAC&pg=PA88&lpg=PA88&dq=1975+tour+jackson+browne&source=bl&ots=dpjE33q-Ga&sig=kfL6yykNYEE-ft8UvCLT1WP_Cqw&hl=en&sa=X&ved=0ahUKEwjwioXEs_fQAhWCqVQKHRf9DDoQ6AEINzAE#v=onepage&q=1975%20tour%20jackson%20browne&f=false> Retrieved 15 Dec. 2016. ^ A Jackson Browne Concert Chronology. Ghosts On The Road. The Old Homestead Press. Ghostsontheroad.co.uk. Web. <http://www.ghostsontheroad.co.uk/JB/1975.html> Retrieved Dec. 9 2016. ^ Ruhlmann, William. "Running on Empty – Jackson Browne | Songs, Reviews, Credits". AllMusic. Retrieved 2016-02-17. ^ a b c d Epting, Chris (January 18, 2011). "When It Comes to Being Green, Browne Is No Pretender". AOL News. Retrieved March 12, 2011. ^ Paris, Russ. Text of Jackson Browne Rock & Roll Hall of Fame Induction Speech by Bruce Springsteen. March 2004. ^ Mariotte, Michael (October 12, 2007). "Support Musicians Acting to Stop New Reactors; New Info on Loan Guarantees/Energy Bill". Nuclear Information and Resource Service. Retrieved May 21, 2008. ^ "Jackson Browne – Time the Conqueror". Time the Conqueror. 2008. Retrieved July 19, 2009. ^ "Past Events". Artists for the Arts Foundation. Retrieved October 9, 2011. ^ "Help Stamp Money Out of Politics". 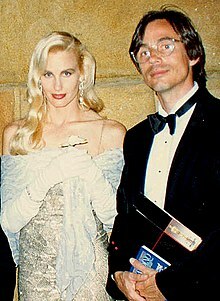 Jackson Browne. November 13, 2013. Retrieved January 17, 2014. ^ "Bruce Springsteen, Ben Harper, Bonnie Raitt Highlight Jackson Browne Tribute Album". Radio.com. January 16, 2014. Retrieved January 17, 2014. ^ "Living with Ed – Hit TV Series". Livingwithed.net. Retrieved October 9, 2011. ^ "Music Artist Receives Ocean Hero Award from Wallace 'J' Nichols" (Press release). Speak Up for the Blue. February 16, 2011. Retrieved December 1, 2011. ^ E-Online (July 22, 2008) Sting, Matthews, Mayer Gamer for Tibet Than Beijing Archived July 24, 2008, at the Wayback Machine. ^ a b c d "Jackson Browne". Nicholas School of the Environment at Duke University. 2010. Retrieved October 9, 2011.